What should parents or caregivers do if they suspect a child has the signs and symptoms of dyslexia? What type of treatment is available for dyslexia? What is the prognosis for a person with dyslexia? Dyslexia is difficulty in learning to read. Dyslexia can be related to hereditary factors or other factors that affect brain development. The precise cause of dyslexia is not fully understood. Treatment of dyslexia ideally involves planning between the parent(s) and the teachers. What are the signs of a child learning disability? Children with dyslexia have difficulty in learning to read despite traditional instruction, at least average intelligence, and adequate motivation and opportunity to learn. It is thought to be caused by impairment in the brain's ability to process phonemes (the smallest units of speech that make words different from each other). It does not result from vision or hearing problems. It is not due to mental retardation, brain damage, or a lack of intelligence. The causes of dyslexia vary with the type. In primary dyslexia, much research focuses on the hereditary factors. Researchers have recently identified specific genes identified as possibly contributing to the signs and symptoms of dyslexia. This research is very important because this may permit the identification of those children at risk for developing dyslexia and allow for earlier educational interventions and better outcomes. Primary dyslexia: This is the most common type of dyslexia, and is a dysfunction of, rather than damage to, the left side of the brain (cerebral cortex) and does not change with age. There is variability in the severity of the disability for Individuals with this type of dyslexia, and most who receive an appropriate educational intervention will be academically successful throughout their lives. Unfortunately there are others who continue to struggle significantly with reading, writing and spelling throughout their adult lives. Primary dyslexia is passed in family lines through genes (hereditary) or through new genetic mutations and it is found more often in boys than in girls. Secondary or developmental dyslexia: This type of dyslexia is caused by problems with brain development during the early stages of fetal development. Developmental dyslexia diminishes as the child matures. It is also more common in boys. Trauma dyslexia: This type of dyslexia usually occurs after some form of brain trauma or injury to the area of the brain that controls reading and writing. It is rarely seen in today's school-age population. The term auditory dyslexia has been used to refer to auditory processing disorder. Similar to visual processing disorder, there are problems with the brain's processing of sounds and speech. Dysgraphia refers to the child's difficulty holding and controlling a pencil so that the correct markings can be made on the paper. Classroom teachers may not be able to determine if a child has dyslexia. They may detect early signs that suggest further assessment by a psychologist or other healthcare professional in order to actually diagnose the disorder. Difficulty copying from the board or a book. A child may not be able to remember content, even if it involves a favorite video or storybook. Problems with spatial relationships can extend beyond the classroom and be observed on the playground. The child may appear to be uncoordinated and have difficulty with organized sports or games. Difficulty with left and right is common, and often dominance for either hand has not been established. Auditory problems in dyslexia encompass a variety of functions. Commonly, a child may have difficulty remembering or understanding what he hears. Recalling sequences of things or more than one command at a time can be difficult. Parts of words or parts of whole sentences may be missed, and words can come out sounding funny. The wrong word or a similar word may be used instead. Children struggling with this problem may know what they want to say but have trouble finding the actual words to express their thoughts. Many subtle signs can be observed in children with dyslexia. Children may become withdrawn and appear to be depressed. They may begin to act out, drawing attention away from their learning difficulty. Problems with self-esteem can arise, and peer and sibling interactions can become strained. 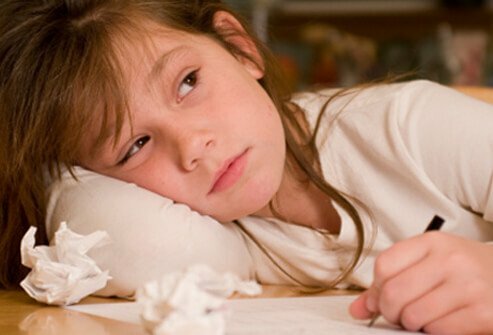 These children may lose their interest in school-related activities and appear to be unmotivated or lazy. The emotional symptoms and signs are just as important as the academic and require equal attention. It is important to consult your pediatrician if you are concerned about your child's development. Additionally, meeting with your child's teachers is an important step toward getting more answers. Any parent or teacher who suspects a learning problem may request a meeting with this team to discuss the child's problem. The parent may request this even if the teacher feels the child is doing well. Sometimes a decision to test the child will be made. The parent or teacher may request testing, but it cannot be done without the parents' written permission. If the child attends a private school which lacks the appropriate professionals to evaluate a suspected learning problem, he should be referred to the public-school system for evaluation. If testing is not satisfactorily conducted in the public-school system for private or public school students, the parent will need to locate the appropriate health professionals for assessment. A list of resources is provided at the conclusion of this article. Because testing can sometimes be stressful for children, especially if they are unhappy about their school performance, alternative strategies are usually tried before testing is done. Once the assessment plan has been discussed with the parent(s) and they have granted permission, the school team completes the testing and holds a meeting with the parent(s) to discuss the test results. The testing will be done by the various members of the school team or the professionals consulted by the parent. Typically, the school or clinical psychologist determines whether or not the child has dyslexia. Since there are different forms of dyslexia, such as learning disability in reading, written language, or math, the psychologist diagnoses the specific type. Another form known as expressive language delay can be diagnosed by a speech therapist. They also assess whether a child performs better when allowed to give information (output), by saying something (oral), or by doing something with their hands (tactile-kinesthetic). The tests also evaluate how all of these sensory systems (modalities) work in conjunction with each other. The tests administered are standardized and are considered highly reliable. The child should not feel as if there is something wrong because testing is occurring. Many of the tests use a game-type or puzzle format which can help make the child feel more comfortable. Children should get a good night's sleep prior to the testing and have a good breakfast. If the testing is done in a school setting, the teacher can prepare the child by talking about the person who will come and do special work with the child. With young children, the psychologist may visit the child's classroom before the testing so that the child is familiar with him. Whether or not the testing is done at school, the parent may want to talk to their child about a new person coming to work with them. However, parents should not try to coach the child concerning the testing. It is recommended that parents not be present during the testing. Before any treatment is started, an evaluation must be done to determine the child's specific area of disability. While there are many theories about successful treatment for dyslexia, there is no actual cure for it. The school will develop a plan with the parent to meet the child's needs. The plan may be implemented in a special education setting or in the regular classroom. An appropriate treatment plan will focus on strengthening the child's weaknesses while utilizing the strengths. A direct approach may include a systematic study of phonics. Techniques designed to help all the senses work together efficiently can also be used. Computers are powerful tools for these children and should be utilized as much as possible. The child should be taught compensation and coping skills. Attention should be given to optimum learning conditions and alternative avenues for student performance. In addition to what the school has to offer, there are alternative treatment options available outside the school setting. Although alternative treatments are commonly recommended, there is limited research supporting the effectiveness of these treatments. In addition, many of these treatments are very costly, and it may be easy for frustrated parents to be misled by something that is expensive and sounds attractive. Perhaps the most important aspect of any treatment plan is attitude. Children will be influenced by the attitudes of the adults around them. Dyslexia should not become an excuse for a child to avoid written work. Because the academic demands on a child with dyslexia may be great and the child may tire easily, work increments should be broken down into appropriate chunks. Frequent breaks should be built into class and homework time. Reinforcement should be given for efforts as well as achievements. Alternatives to traditional written assignments should be explored and utilized. Teachers are learning to deliver information to students in a variety of ways that are not only more interesting but helpful to students who may learn best by different techniques. Interactive technology is providing interesting ways for students to get feedback on what they have learned, in contrast to traditional paper-pencil tasks. The prognosis for children with dyslexia is variable and dependent on the cause. In the case of primary dyslexia, the earlier the diagnosis is made and intervention started, the better the outcome. It is also important to focus on the child's self-esteem, since dealing with dyslexia can be extremely frustrating. Lastly it is important to recognize that many well-known and successful individuals have suffered from dyslexia, including Albert Einstein and Steven Spielberg, just to name a couple. Alexander, Ann, MD. "Current Status of Treatments for Dyslexia: Critical Review." Medscape. Please describe the symptoms you or your child experienced with dyslexia. How was your dyslexia diagnosed? What was the cause of you or someone you knows dyslexia? Do you or your child have dyslexia? Please describe what it's like and how you cope. What educational methods or approaches have you or your child used to deal with dyslexia?